These days, many organizations dismiss competency models as outdated, static, and unable to scale. The truth is, these misconceptions often deter organizations from benefiting from the predictability and scalability that competency models can provide (when used correctly, that is). 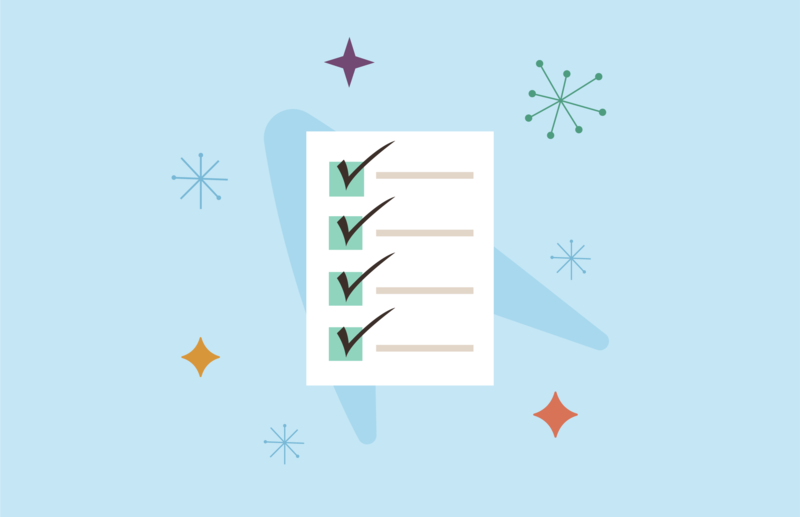 Before you assume that competency models aren’t for you, we invite you to take a look at this checklist that outlines the environments and areas best suited for competency modelling to determine if competency models are right for you. But first...what is a competency model? Competencies refer to a collection of related knowledge, skills, abilities, and other characteristics that an individual possesses. A competency model is a set of the competencies needed to successfully perform a job. Competency models showcase the pattern of behaviors that are required for good performance on the job, which can be either skill-based (a set of learned activities, like mopping or brain surgery) or talent-based (patterns of thought, feeling, and behavior). These models may also include weights or ranking systems, so organizations can identify which factors within a competency model are most important for job performance. Competency models can be useful to your organization for a variety of reasons. They can provide an objective reference that can get multiple stakeholders on the same page when it comes to talent selection decisions. Competency models can be applied across a lot of use cases, too, like hiring, employee feedback, identifying emerging leaders, and more. When used incorrectly, however, competency modelling can become problematic, becoming too subjective, too expensive, and too limited (we take a deeper dive into the potential pitfalls of competency models in our blog post “The Incompetence of Competency Models"). Now that we have a better understanding of how we’re defining competency modelling, how do you know if this process is a fit for your organization? Let’s examine the environments and organizational areas that are best suited for competency modelling. Just as certain types of competencies are best suited for differing organizational needs, there are characteristics of an environment that benefit the most from utilizing competency modelling. Organizations that operate within rapidly changing environments need to be able to quickly identify talents required to solve unique problems, which competency modelling allows. When the quality of the workforce is business critical, competency modelling can help to identify those high in required competencies, particularly when “softer” skills (e.g. interpersonal skills or emotional intelligence) are very important to success on the job. Organizations requiring special teams to tackle complex or abstract problems may find competency modelling useful to identify individuals with unique talents. If leaders’ responsibilities are spread across an organization in different organizational areas, such as through the utilization of a matrix management system involving cross-sharing, competency models can provide information on which competencies are important for different organizational areas. Competency models are useful for identifying abstract talents (e.g., interpersonal skills or achievement motivation) that are critical for success. Competency modelling can be utilized in a wide variety of organizational areas, from the beginning of the employment relationship (recruitment and selection) throughout the employee lifecycle (performance reviews). HR Planning. Utilizing competencies gives insight on where people’s talents lie, which is useful information when unique talent is needed on short notice. Competency modelling also focuses on measurable results and potential, which may be more useful than specific skills or other characteristics. Recruitment. Recruitment efforts can focus on sourcing applicants who hold the competencies that cannot or will not be developed through organizational training. Selection. Competency models can be used to help develop a selection instrument for a new job or revise a selection instrument for a job that is changing. Selection can be based on the applicant’s ability to perform behaviors that represent specific competencies. Training. Competency levels are known and tracked for individual employees, so training can be highly individualized and structured in a way that is meaningful to the employee. Performance appraisal. Performance appraisal designed around competencies allows for the identification of exemplary performers, which then allows for praise and recognition. Performance appraisal focused on competencies allows for non-adversarial communication, as employees can express concern if they feel their work is not aligned with their strengths or interests. The contributions to the organization from work results are identified specifically and in measurable terms, and employees’ work results can be directly linked with the achievement of strategic organizational objectives. Succession Planning. Competency models can help organizations identify competencies that leaders must possess, which can then be used to tailor training for high potential and emerging leaders.